On Wednesday, Oak Crest honored the hearts of its 650 resident volunteers at a celebratory brunch held at the Erickson Living retirement community. Resident Volunteers of the Year: Presented to the Helping Hands, a group of 17 residents who provide companionship and friendship to their peers in the continuing care neighborhood of Oak Crest. Student Volunteer of the Year: Presented to Regina Del Pilar of Catholic High School for her work with residents in the continuing care neighborhood where she shares her musical gifts of singing and playing the ukulele. 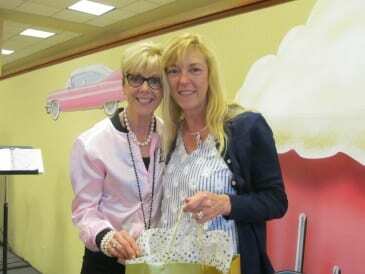 Guest Volunteer of the Year: Presented to Linda Hart, owner of Flower Expressions in Perry Hall, for creating a monthly program for Oak Crest residents interested in floral arrangement and design. Carrie Lurz, Programming Manager at Oak Crest, provided the keynote address. 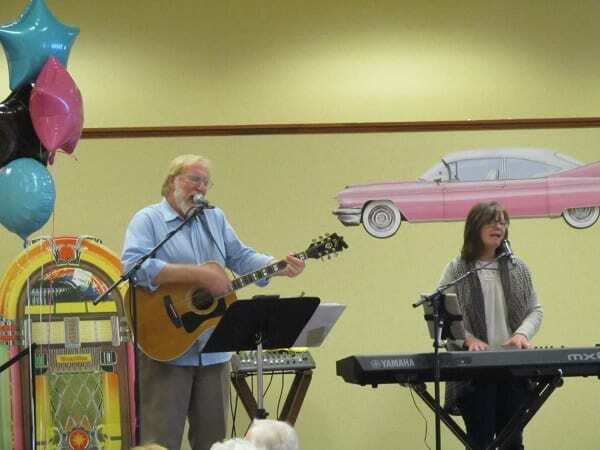 The musical duo of Gary Waugh and Kathy Scarborough provided entertainment, followed by a performance by Ms. Del Pilar.